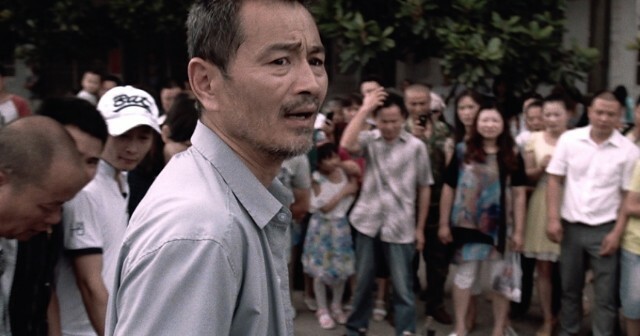 Inspired by a news report in 2011, in Guang Dong Province, where a toddler died after being ran over by two cars while bystanders watched on, Old Stone tells a gripping morality tale that takes place in rapidly developing China. The first driver stopped as the front wheel of a car ran over the two year old. After a bit of hesitation, he proceeded to go forward, running her over the second time. It was the total lack of empathy of the incident that shook the entire nation and abroad. Old Stone starts with a taxi driver, Lao Shi (Chen Gang), who just ran over a delivery man on his motor bike, because his passenger was drunk which caused the accident. Everyone on the street is telling him something different in what to do next, while the victim lies unconscious, bleeding from his head. Lao Shi decides not to wait for the ambulance and takes him directly to the hospital, therefore saving the man's life, as the doctor tells him. But the man is in a coma. And because Lao Shi didn't followed the protocol, his taxi company and the insurance company refuse to pay for the man's hospital bill. Righteous in his stubbornness, he hides the accident from his wife (Nai An), whose worries are limited to paying for their daughter's daycare. Lao Shi tells the victim's wife not to worry about the money and starts paying the bills himself. With the cell phone left by the drunken passenger who caused the accident, Lao Shi then tracks him down to an opulent wedding reception. He's there not to ask for money, but to get a police statement for the insurance company. But the passenger, who is a rich man, doesn't want to get involved, has Lao Shi thrown out. Talking to the wife of the victim doesn't help either. She confesses to Lao Shi that it would've been better off if her husband was dead, so she could've collected his life insurance. After several weeks in hospital, the victim wakes up from the coma, and walks out of the hospital. Lao Shi starts spying on the man who is still feigning his wounds to get the money from his benefactor he never met. Was saving the man’s life worth ruining his marriage and emptying out his bank account? 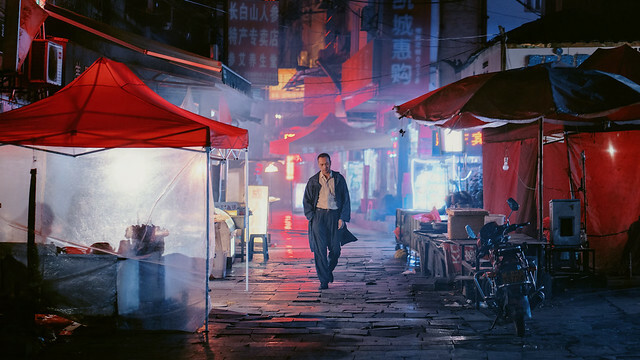 Chen Gang's performance as a good man slowly losing his moral compass is nothing short of riveting. He is an archetype of a good man you only find in a Dostoevskian novel. He is a silent type, struggling to show his emotions or thought process to anyone, not even to his family. Old Stone/Lao Shi in Chinese means 'too honest'. People call someone Lao Shi if he/she is way too naive for the harsh world we live in. I couldn't help comparing Old Stone to Lou Ye's latest Mystery in terms of its theme. Then I find out that Old Stone's executive producer Nai An is also a long time producer of Lou Ye (Suzhou River, Summer Palace). And here she also stars opposite Chen Gang as his wife. It couldn't have been easy for Johnny Ma, a Chinese Canadian filmmaker making his feature debut, to make a film that paints an unflattering picture of China under heavy censorship, especially with Nai An as a producer-- considering Lou Ye had been banned making films in China and only two of his seven films saw the release in mainland China. Old Stone opens on Wednesday, 11/30 in New York at the IFC Center. National roll out will follow. Please visit Zeitgeist Film's website for roll out info.